With a new entry in the New Yorker cartoon collection in the market place, the weighty and curious New Yorker Encyclopedia of Cartoons, I thought it might be time to swing the spotlight another way — to a favorite New Yorker cartoon-related anthology, The New Yorker Album Of Drawings 1925 – 1975; a proven time-tested book that never ever fails to thrill and inform — I learn something whenever I look through it. 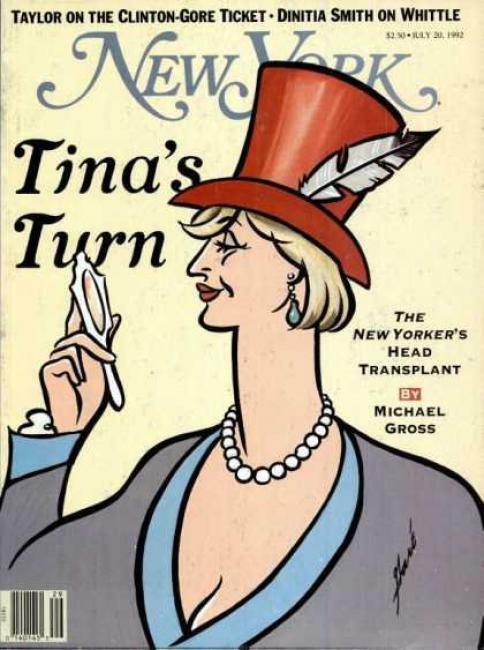 My collection of New Yorker cartoon anthologies began with this book, given to me the year it was published, two years before I began contributing to the magazine. I’ve spent more time with it than any book I ever had in school. 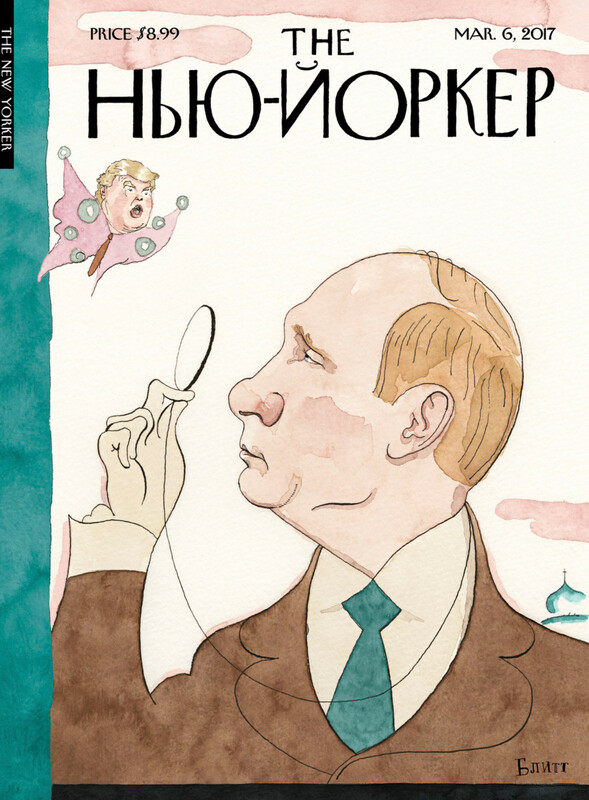 If I was teaching a class about New Yorker cartoons, this would be required reading/viewing. As you’d expect, the book is a greatest cartoon hits from the magazine’s first 50 years, but it also thoughtfully digs into the archives for what could be the best representative work by the non-hits artists. His aesthetic instinct for what drawing should appear on what page and what its size on the page should ideally be was faultless. If, say, a drawing was an eighth of an inch too wide, he saw it as jumping off the page, and he was right. His meticulousness, his precision, his attention to detail were fanatical. In the last analysis, it was Carmine who determined, early in our history, how the pages of The New Yorker should look, how the magazine as a whole should look. Since what he designed for us was appropriate to our intentions and was classic, we stayed with what he gave us. 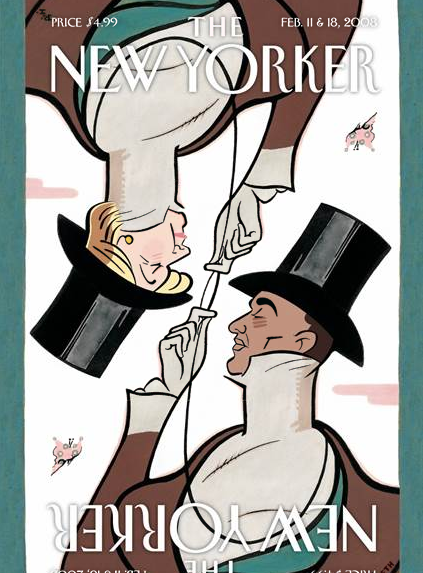 From 1997 through 2012, the New Yorker published a “Cartoon Issue”; that there was a special issue wasn’t news — the magazine had started publishing them in its new era of ownership under Conde Nast (purists might argue that the issue of August 31, 1946 was the magazine’s first special issue. Beyond the Goings On About Town section, the entire issue was devoted to John Hersey’s Hiroshima. There were no cartoons, and no illustrations — just spot drawings). 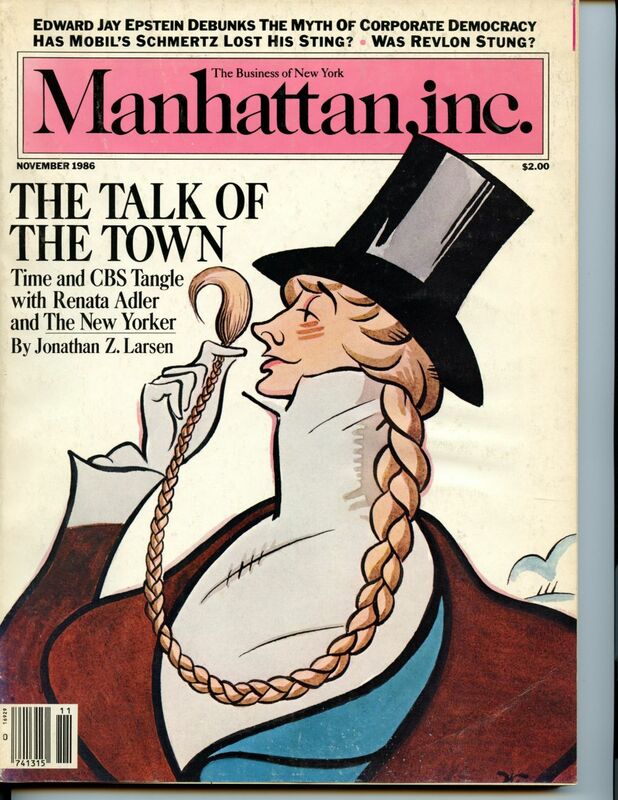 The first Cartoon Issue came in the year of more change: the cartoon editorship passed from Lee Lorenz, who had held that position for 24 years, to one of the magazine’s cartoonists, Bob Mankoff, who had been contributing to the magazine for 20. [The Spill will take a look at the How and Why of that change in editorship in a future post]. 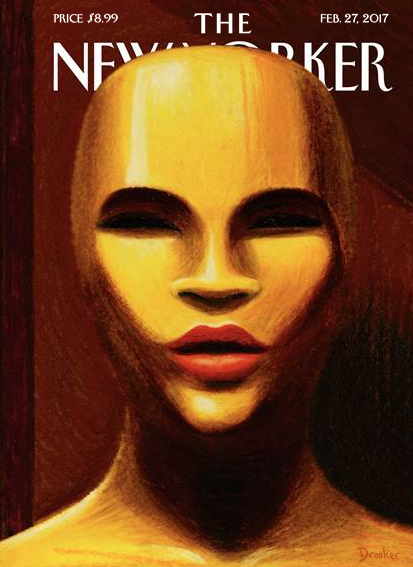 The very first Cartoon Issue, dated December 15, 1997 was a celebratory explosion of the magazine’s signature art. From the fold-out cover collage to the wonderful Jack Ziegler cartoon, “No comment” appearing where the “Comment” section would normally appear, it set the bar very high. Also in this issue, the three section (originally planned as two section) fold-out photograph of cartoonists taken by the acclaimed Arnold Newman, the mini bios of each cartoonist in the issue, Roger Angell’s Onward and Upward With the Arts piece (“Congratulations! It’s a baby”), Roz Chast’s graphic ode to Charles Addams, a double page photograph of George Price, a special feature by Richard Cline, Lee Lorenz’s “Cover Stories” …and more. 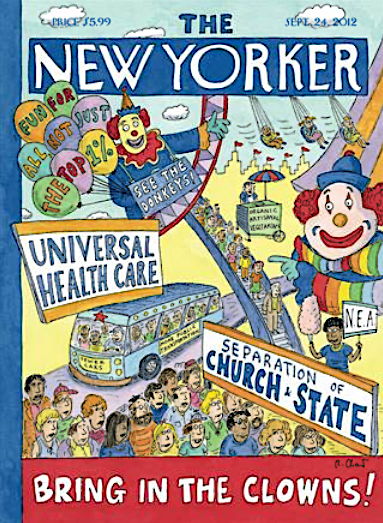 Although all of the Cartoon Issues had elements that were exciting and fun — for instance, the Charles Barsotti cover on the second Cartoon Issue in 1998, and covers by New Yorker cartoonists such as George Booth, Ms. Chast, Harry Bliss, Edward Koren, Bruce Eric Kaplan, etc. — that first Cartoon Issue, with its electric zeitgeist, remained the one to beat. By October of 2011, when I mentioned to Jack Ziegler that the latest Cartoon Issue was probably due any week, he responded to me (via email) that it was “the moment we all dread.” By that time, the so-called “bookazine” Cartoons of The Year had already appeared and would shortly supplant the Cartoon Issue. On June 13, 2013, the magazine’s cartoonists received an email from the cartoon editor saying: “there definitely is not going to be a cartoon issue this year.” And that, as they say, was that. Friends, relatives, and colleagues gathered yesterday morning at the Century Association in Manhattan to honor the late New Yorker Artist & Writer, James Stevenson. 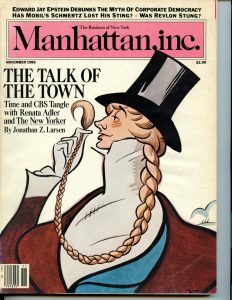 Among those from The New Yorker were Danny Shanahan, Arnie Levin, Anne Hall Elser, Roger Angell, Kennedy Fraser, Susan Morrison, Anthony Hiss, Mark Singer, The New Yorker’s “Jack-of-All-Trades” Stanley Ledbetter, the New Yorker‘s former Television Critic, Nancy Franklin and the magazine’s former Art Editor/Cartoon Editor, Lee Lorenz. 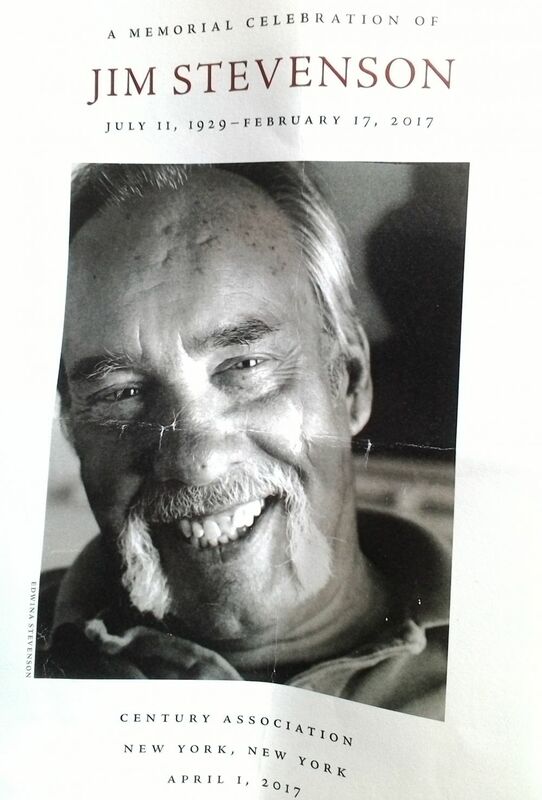 A blow-up of one of Mr. Stevenson’s color pieces hung behind a podium where guests made their way to recall movingly and often hilariously, Mr. Stevenson. On our way out, we were offered a jar of Creamy Skippy Peanut Butter (a Stevenson favorite), as well as the booklet of drawings shown above, and partially below. James Stevenson Born, NYC, 1929. Died, February 17, 2017, Cos Cob, Connecticut. New Yorker work: March 10, 1956 -. Stevenson interned as an office boy at The New Yorker in the mid 1940s when he began supplying ideas for other NYer artists. Nine years later he was hired a full-time ideaman, given an office at the magazine and instructed not to tell anyone what he did. He eventually began publishing his own cartoons and covers as well as a ground-breaking Talk of the Town pieces (ground breaking in that the pieces were illustrated). His contributions to the magazine number over 2000. Key collections: Sorry Lady — This Beach is Private! (MacMillan, 1963), Let’s Boogie (Dodd, Mead, 1978). Stevenson has long been a children’s book author, with roughly one hundred titles to his credit. He is a frequent contributor to the Op-Ed page of The New York Times, under the heading Lost and Found New York. Stevenson’s recent book, published in 2013, The Life, Loves and Laughs of Frank Modell, is essential. 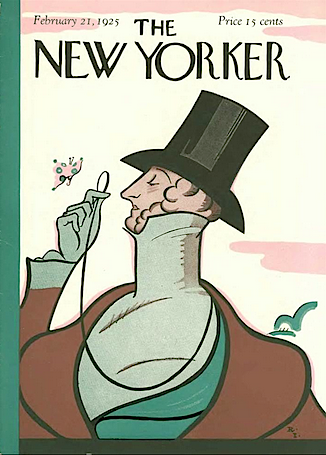 Eustace Tilley is of course a fictional character — commonly referred to as The New Yorker‘s mascot. 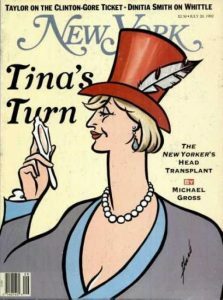 There is a suggested backstory to Tilley himself in Lee Lorenz’s Art of The New Yorker: 1925-1995; there are best guesses elsewhere as to why Rea Irvin (see below) decided to submit the cover to Harold Ross to adorn Ross’s inaugural issue and there are probably just as many best guesses as to why Ross chose to use Irvin’s submission. 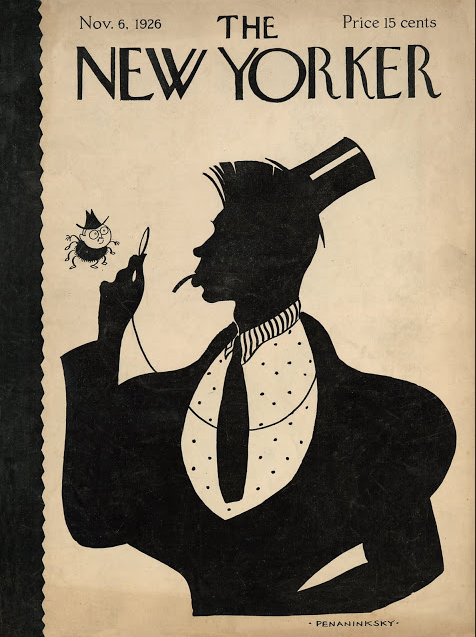 Following the advent of the New Yorker, it didn’t take long for a Tilley stand-in to show up; a New Yorker in-house publication featured Harold Ross as Tilley and Alexander Woollcott as the butterfly hovering at Tilley’s eye-level. Over the years there have been innumerable parody New Yorkers (Ink Spill has a selection here). But how many real people, after Harold Ross, have stood in for Tilley on a New Yorker cover or on another magazine’s cover. 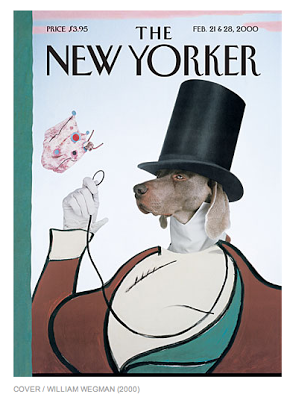 The New Yorker‘s in-house issue featuring Harold Ross. 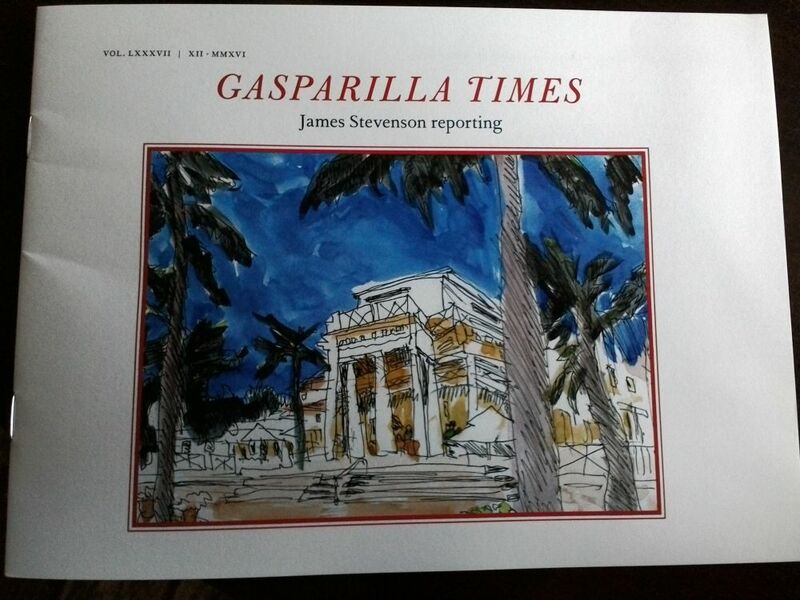 …From the New Yorker‘s Culture Desk, February 25, 2017, “Looking At The Field” — Roger Angell on James Stevenson’s art and writing. 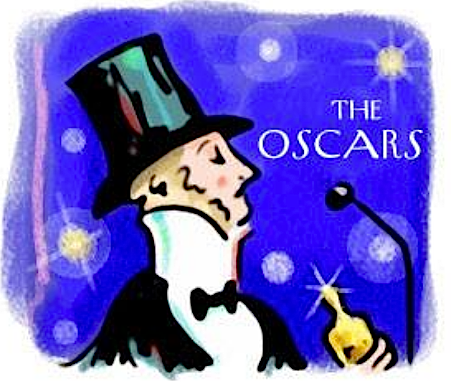 …Liza Donnelly has been out in Hollywood all week drawing the scene as the Academy Awards prepares for its big night. Following her historic appearance last year as the first ever cartoonist live drawing on the Red Carpet, she will be back again tomorrow night drawing the stars and the hooplah. Cartoonists mostly live solitary work lives. When they’ve finished a drawing, sit back and take a look at it, the feedback usually comes from within; then there’s the occasional laugh from their spouse, friend, room mate or visitor. In the reverse, it’s also usually a solitary experience for someone looking at a cartoon in a magazine. More often than not, the reaction is internal, and yes, sometimes a laugh, out loud. It is always slightly jarring — at least for me — to sit in a crowd and hear the collective roar of laughter at cartoons projected on a screen. 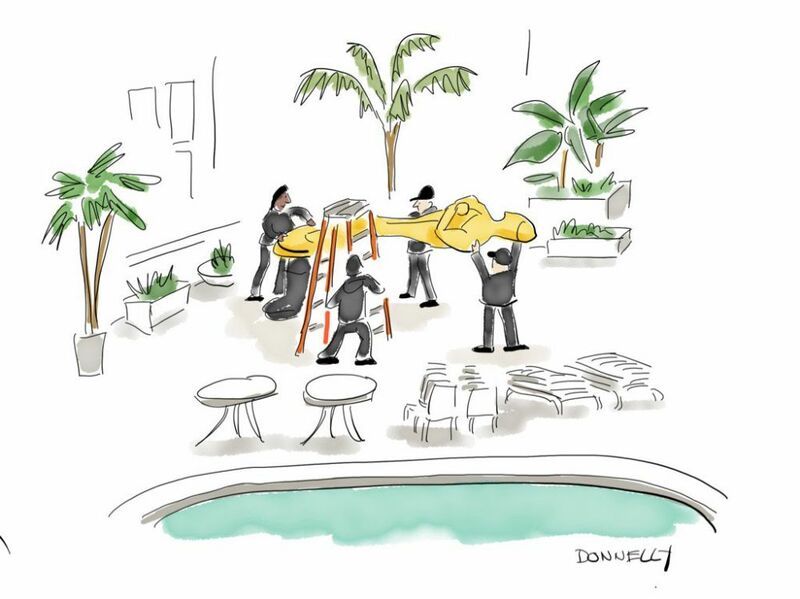 Such was the experience last night at an evening dedicated to celebrating the life and work of the great New Yorker cartoonist Frank Modell, who passed away in May at age 98. The event was held a few doors east of the 44th Street entrance to The New Yorker‘s former longtime address at 25 West 43rd Street (the building’s main lobby stretches from 43rd to 44th). A plaque attached to the magazine’s one-time residence bears Frank’s name alongside a number of other heavy hitters: Harold Ross, E.B. White, James Thurber, Helen Hokinson, Peter Arno, Charles Addams, Katharine White and James Stevenson to name but a few. 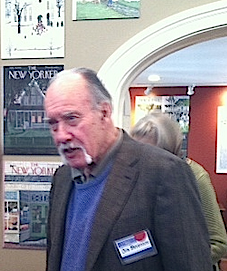 Mr. Stevenson, Frank’s best friend, was in attendance last night, as were a number of other New Yorker colleagues, including Warren Miller, Mort Gerberg, Edward Sorel, Arnold Roth, Liza Donnelly, Charles “Chip” McGrath, Roger Angell, Anne Hall Elser, Thomas Vinciguerra and Linda Davis. Remarks from Frank’s close friends, Flicker Hammond, Edgar Lansbury, Tom Meehan, and the long-time New Yorker writer, Kennedy Fraser were preceded by the presentation of a wonderful array of Frank’s work. Watching the drawings come up on the screen, with each caption read by Nancy Franklin (the New Yorker‘s former television critic), the laughter moved from the front of the room to the rear — a true wave of laughter. Each drawing was a reminder of Frank’s ability to reach us with elegant drawings (it was noted that Frank’s long-time colleague and editor Lee Lorenz had said that Frank’s drawings “popped off the page”) topped off by a disarmingly precise caption: nothing elaborate, nothing obtuse — just plain funny. 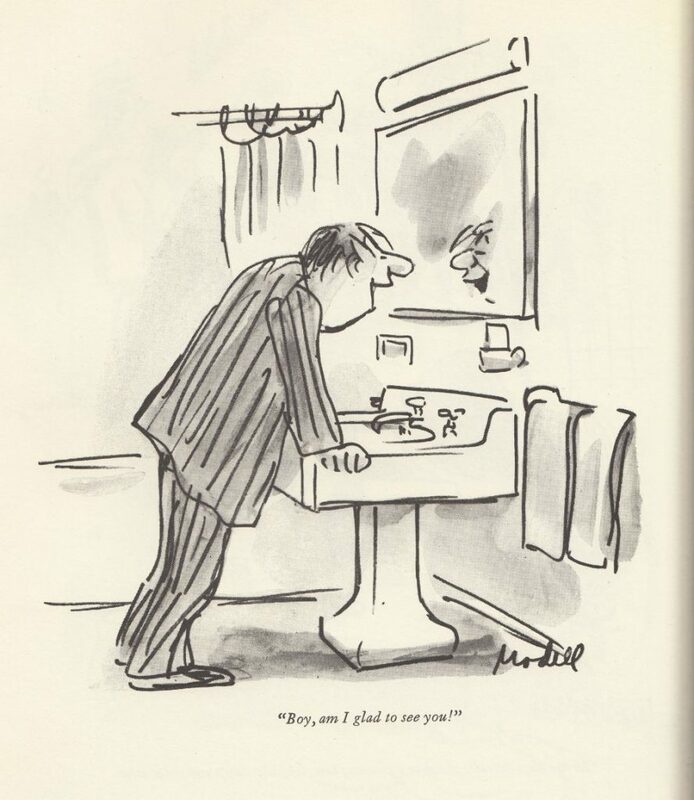 Funny, and evergreen; that magic ingredient that for many many years was the hallmark of New Yorker cartoons. As each cartoon was presented I was also reminded of the friendliness of Frank’s work — work as friendly as the man himself. The people he drew were people we knew, or know, or are. 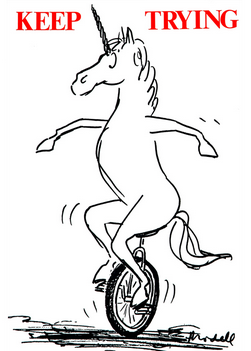 His animals, whether mythical or not, are animals we feel an attachment to, whether it’s the unicorn riding a unicycle or a dog sleeping on a stuffed chair. One of the drawings shown, “Boy, am I glad to see you.” was greeted with exceptionally riotous laughter. I couldn’t help but think of Frank himself at that moment. Boy, Frank, were we glad to see you.